I’m crazy about Halloween! I love it all, but top priority for me is always the costume. 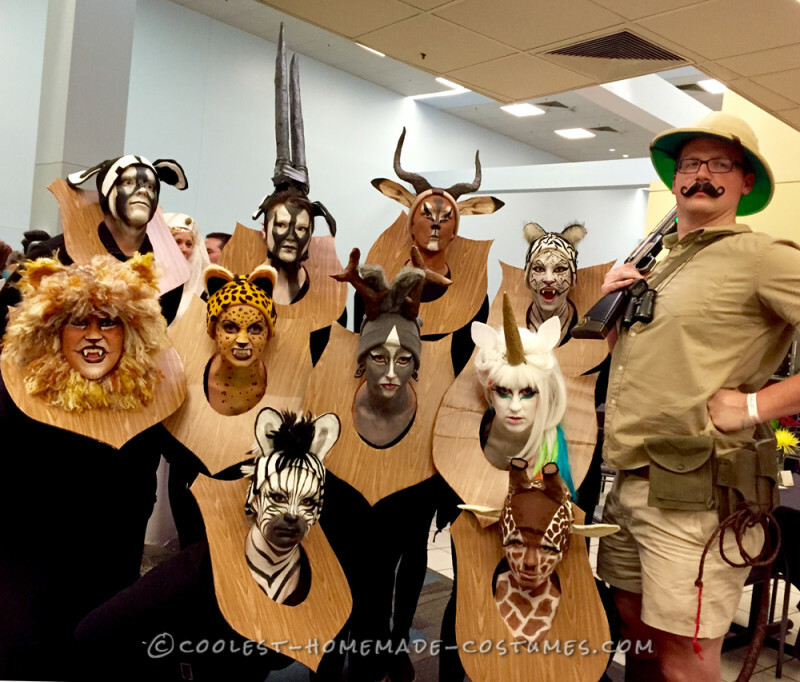 This year, I did a funny group costume and couldn’t be happier with the results! The idea came to me in August, I’ve been recruiting and crafting since! 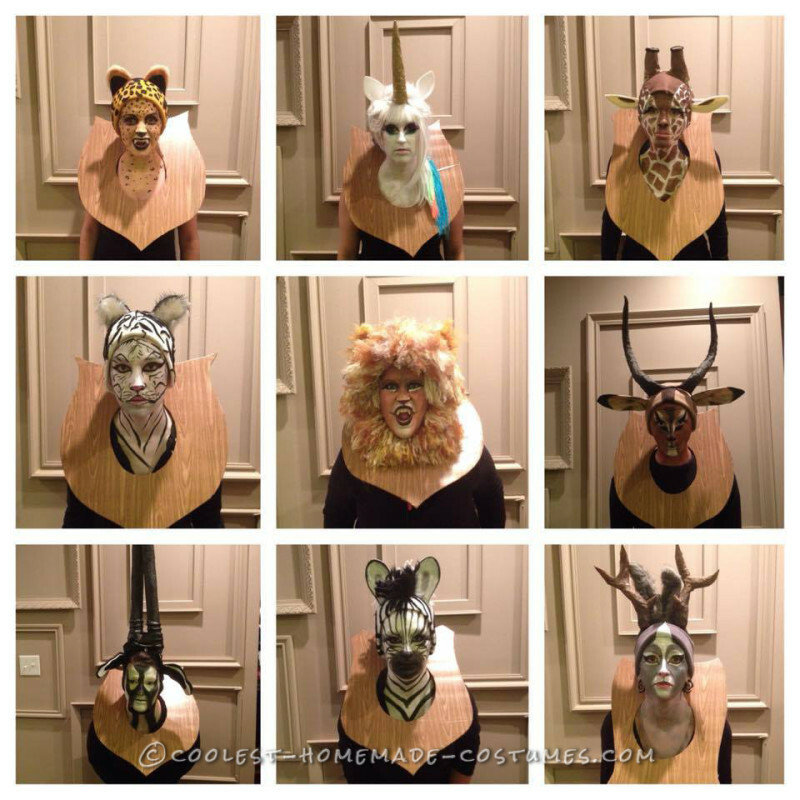 The idea was simple–hunter’s trophy wall of animal heads–but the execution had to be perfect! Once the group was assembled, everyone chose their animal (real or fake) and the craft nights started. We decided that hats would be the best idea to cover our ears and make the style consistent. Faux fur was EVERYWHERE! 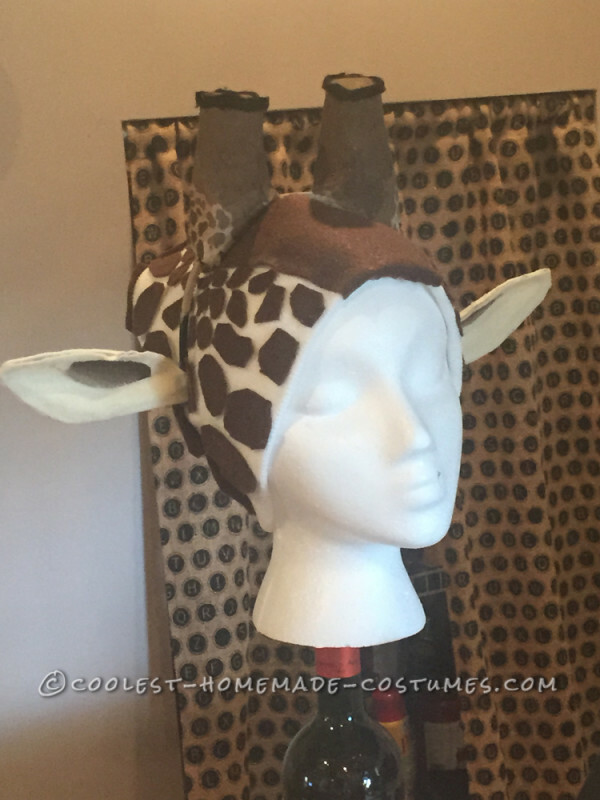 Ears were crafted out of felt or fur with wire structures under them to allow for shaping. 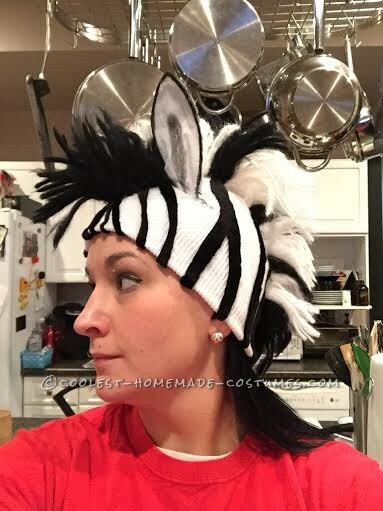 The zebra and lion manes were made by sewing soft yard through the hats and fluffing it. The lion “beard” was down with the same technique, but using a foam visor as the base, as opposed to the hat. We met about 5 times as a group to make the “accessories” and I put in additional hours making the plaques and helping people execute their ideas. 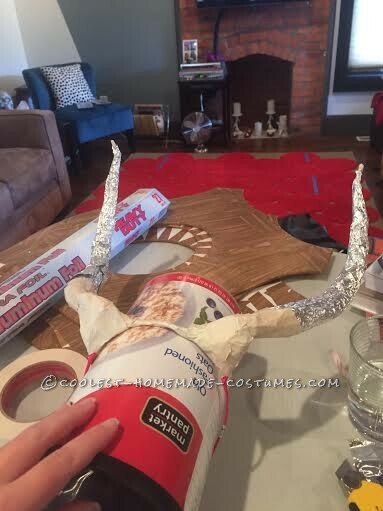 Horns and antlers were created from a multi-step process involving wire base structures, foil, paper mache and paint. All of them held up so well though! 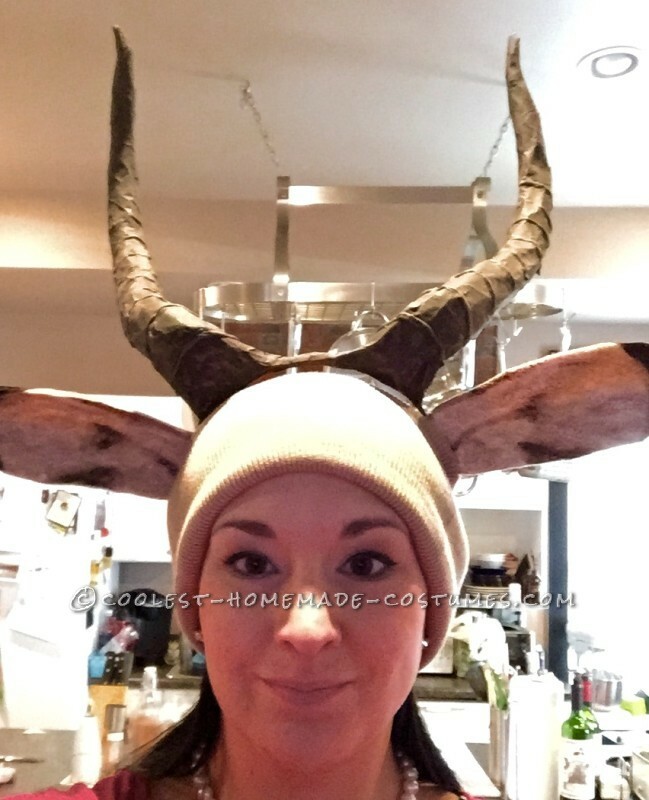 We mostly built the horns on headbands for ease in wearing them. The wooden plaques were hand drawn and cut from foam core with a utility knife. 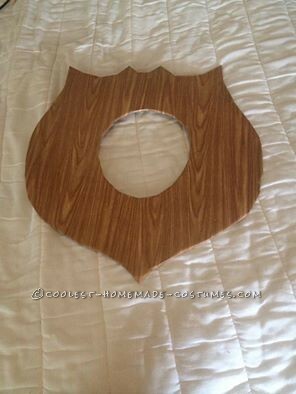 Each was then covered with wood grain contact paper–front and back. Washers were added to the backs of each plaque to keep them centered on our necks. 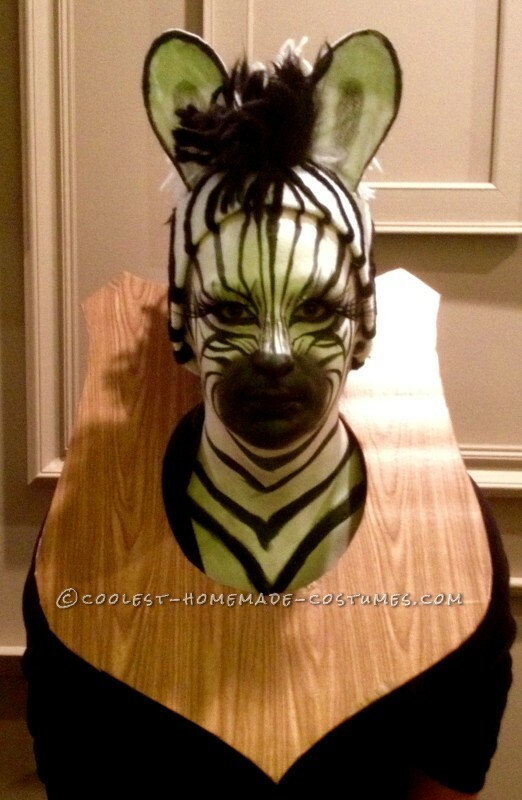 What the costume really came down to was the face paint though. We had invested so much time and energy into the rest of the costume, but if the paint wasn’t right, it would fail completely. We were going for realistic animals here. I had done plenty of research and decided on using Wolfe Fx paints based on reviews. We had 2 painting stations and worked for about 3.5 hours to get everyone done. The gemsbock were surprisingly difficult because they have such simple features. Animals like the giraffe, zebra, and cheetah were time consuming, but slightly easier because they have such distinct faces. An of course, we needed a hunter! The idea was good, but we needed a big personality to be our hunter to pull it all together. And man, did he do a great job! Imagine him prancing down Columbus, Ohio’s main road and hiding behind buildings to “shoot” more victims. Amazing! We had spent all day getting ready and then ventured out to High Ball Halloween in Columbus’ arts district. Deemed as the largest Halloween party in the Midwest, we were ready! We walked down High Street and stopped to peer into restaurant windows to entertain diners. We also took an extra plaque with us so as people wanted to pose with our crew, we could make them an animal too! The 15 minute walk to the party took about 45 minutes from people stopping us to take pictures. 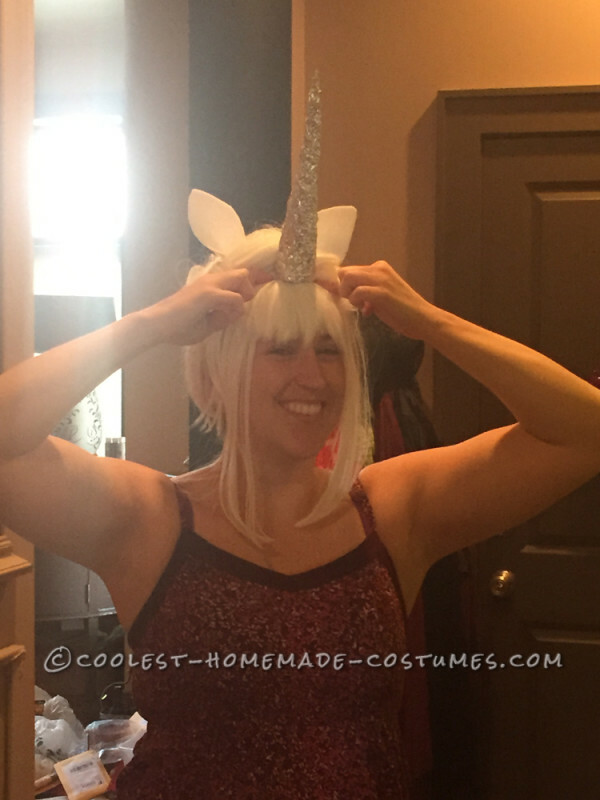 I love this costume idea so much! Where did you buy the hats for the animals? 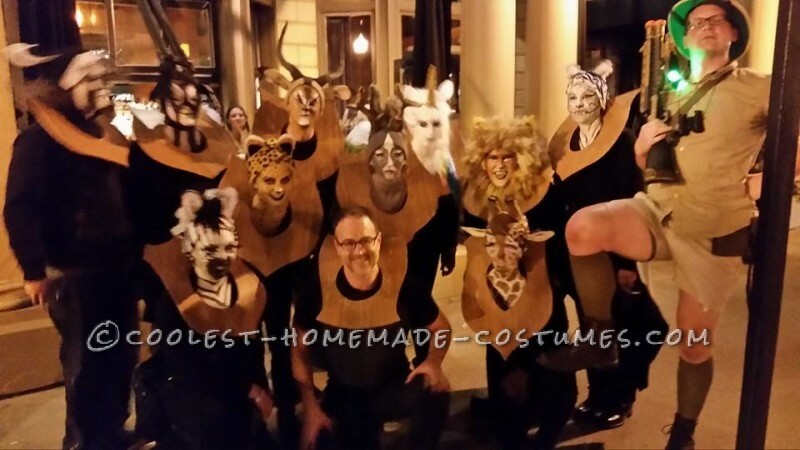 Highball Halloween in Columbus right. I was lucky enough to see this in person. My partner and I were actually standing next to you in the convention hall when we were waiting to go on stage. By far my favorite group costume.